A simple, rapid, reproducible, and scalable method for generating highly stable cross-linked superparamagnetic nanohybrids was developed. 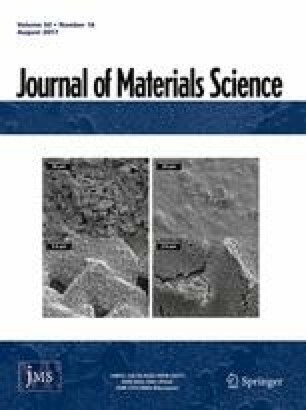 Pre-coating of superparamagnetic iron oxide nanoparticle surfaces with a biocompatible polymer, hydroxy polyvinyl alcohol (PVA-OH) prior to cross-linking with silica precursor resulted in improved stability, uniform morphologies and allows for further surface functionalization. The obtained magnetic nanohybrids contain a non-porous silica layer, are monodisperse (size 50.0 ± 3.7 nm), and show colloidal stability applicable for biomedical applications (pH 7.35–7.45) with long shelf life (>9 months). In vitro studies indicate that as-prepared nanohybrids are non-cytotoxic and highly robust toward endosomal/lysosomal conditions, with no particle dissolution evident for up to 42 days. As a demonstration of the potential utility of these nanohybrids in medical diagnostic applications (e.g., MRI), surface functionalization with folic acid resulted in particle recognition and affinity to folate receptor-positive cervix (HeLa) cells. Accordingly, the facile development of these non-toxic, stable cross-linked magnetic nanohybrids, with the added benefit of scalable preparation, should serve as an entry point for the further development of safer, target specific, MRI contrast agents for cancer diagnosis. The online version of this article (doi: 10.1007/s10853-017-1098-2) contains supplementary material, which is available to authorized users. The authors would like to acknowledge financial support from the National Nanotechnology Center (NANOTEC), National Science and Technology Development Agency (NSTDA), Thailand, the Swiss National Science Foundation (SNSF), the Laboratory of Powder Technology, Ecole Polytechnique Fédérale de Lausanne (EPFL), and the Faculty of Medicine Siriraj Hospital, Mahidol University.